What goes on ‘behind the scenes’ of political decision-making? Who advises politicians, and how big is their influence? Enrol to learn more about policy advice, political consulting and their impact on governance. This course is designed to outline key features of policy advice and political consulting and their impact on governance. We will observe the key players on the spot as well as those behind the scenes and we will analyze their patterns of interaction. Moreover, we will provide insights regarding essential questions to which there are no single right answers: What role does policy advice play in different democracies? What is good policy advice? What makes an expert? In sum: Whom do (and should) politicians and society listen to, and what do (and should) they make of the advice they receive? 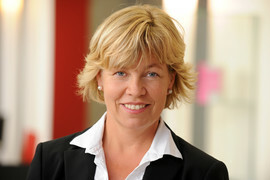 Andrea Römmele teaches Political Science and Communication at the Hertie School of Governance in Berlin, Germany. She obtained her Master degree from the University of California at Berkeley, a PhD from Heidelberg University and a Habilitation from the Free University of Berlin. Her research interests are in the field of comparative political communication, political parties and public affairs. She is co-founder and editor in Chief of the Journal for Political Consulting and Policy Advice and has published extensively in international journals, is author of numerous books and edited volumes. She was visiting fellow at the Johns Hopkins University in Washington DC and at Australian National University in Canberra. Besides her academic work she enjoys commentating on German politics and is a regular commentator on ZEIT-online. She is a consultant to political as well as corporate campaigns. She was „Fulbright Distinguished Chair in Modern German Studies 2012/13“ at the University of California in Santa Barbara (UCSB). Henrik Schober is head editor of the Journal for Political Consulting and Policy Advice. 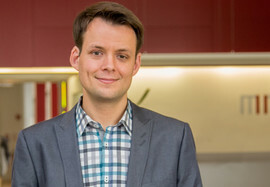 In addition, he holds positions as Coordinator of Customised Education and as Research Associate for Communication in Politics and Civil Society at the Hertie School of Governance in Berlin. Henrik obtained a Master’s degree in Political Science and Sociology from the University of Heidelberg and was appointed Democracy Fellow at the Harvard Kennedy School’s Ash Center for Democratic Governance and Innovation. His research focusses on political communication, participatory governance and democratic innovations; his latest publication is the edited volume “The Governance of Large-Scale Projects – Linking Citizens and the State” (Nomos, 2013, co-edited with Andrea Römmele). He has also served on expert commissions of government bodies and think tanks. Eva is a Coordinator at the Executive Education unit and a Research Associate at the Hertie School of Governance, Berlin. She obtained her Master's degree in European Studies and Politics from the University of Konstanz (Germany) and University of California, Berkeley (USA). She also holds a Diploma in Sociology from the Russian State University for the Humanities and was a Research Scholar at the Leuphana University Lüneburg (Germany). 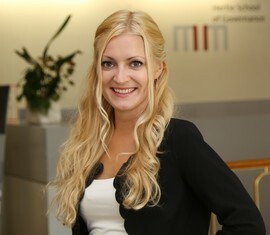 Prior to joining the Hertie School of Governance, Eva gained work experience in different international organisations, such as the United Nations’ headquarters in New York and several international marketing companies in Switzerland and Russia. Her research interests are in the fields of international and transatlantic relations, foreign policy, European integration and democracy promotion.